The primary goal of treatment is to control the effect of androgens on your hair follicles. There are two ways of doing this – externally or internally. 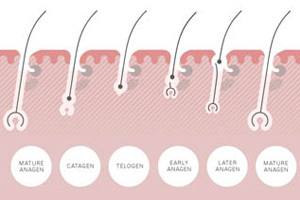 Internal treatments try to control your body’s production of dihydrotestosterone (DHT) - the male hormone that causes a miniaturisation of hair follicles in those with a genetic predisposition. Drugs used to treat male pattern hair loss are called 5-alpha-reductase inhibitors. 5a-reductase is an enzyme found in your adrenal glands that converts testosterone to DHT; these drugs attempt to restrict its effects. The latest male pattern hair loss drug is Finasteride, more commonly known as Propecia. It was originally used to treat benign prostate enlargement, but was also shown to reduce hair loss in some patients. Propecia works by blocking 5a-reductase, which reduces the conversion of testosterone to DHT. Theoretically, Propecia should help male pattern hair loss. But there is a problem – there are two types of the enzyme 5-alpha-reductase - Type I and Type II. Propecia blocks type II, but not type I. So men with type I of the enzyme may not see results. If you stop taking Propecia, the beneficial effects on your hair will start to wear off after six months. And by 12 months your hair will have reverted back to its original state before treatment. The dosage of Propecia for male hair loss is 1mg a day and doesn’t cause as many unpleasant side effects as the 5mg dosage given to treat prostate enlargement. But undesirable side effects can still occur. Erectile dysfunction, Decreased libido, Inability to ejaculate. Minoxidil, or Regaine (Rogaine), is an external treatment for hair loss which dilates blood capillaries. It was originally an oral medication used to treat hypertension. But it was also found to cause hair growth on the face, body and scalp. Minoxidil dilates blood capillaries. On its own, it doesn’t influence the effect of androgens on your follicles or the conversion of testosterone to DHT. But mixed in a 2-5% solution it can initially help with the appearance of fine or thinning hair by making it darker. It also coats your hair giving the ‘feel’ of added thickness. Topical anti-androgens can be very beneficial to hair loss. Anti-androgens are drugs that reduce or block testosterone – and therefore DHT/5a-reductase - from reaching your hair follicles. Taken orally, the amount of anti-androgens needed to help with hair loss can cause side effects – loss of libido, a lower sperm count and, in women, tender breasts. And sometimes even large doses do not sufficiently reach the scalp. Applied topically to your scalp and in the right mixture, anti-androgens can be very effective. Minoxidil can also be added. While minoxidil on its own usually isn’t helpful, it dilates capillaries on your scalp. This makes absorption of anti-androgens into your scalp easier. The use of topical anti-androgens is long-term, but there is no doubt about their therapeutic effect. Hair loss is at least slowed, often stopped and sometimes improved in thickness. Many men want to try a combination of all treatments: Propecia, minoxidil and topical anti-androgens. This can be good, but not because of their combined effect. Knowing you are doing everything possible can be satisfying and reassuring. There is no over-the-counter treatment that is going to grow your hair once it is gone. If there were, no one would be bald. By all means, try them, but it’s a waste of money and time and can be quite discouraging. Although minoxidil may slow the loss down, it will not cure baldness. Any legitimate hair clinic should have an experienced, qualified professional in attendance - a Member of the Institute of Trichologists. 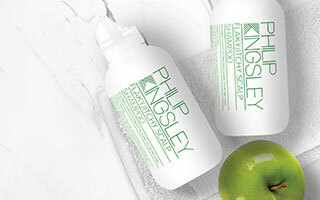 At the Philip Kingsley Trichological clinics we have great experience and success with treating male pattern baldness. 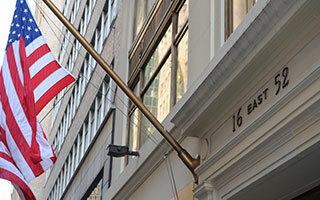 Please contact our London or New York Clinic for further information.